This is the large 56cm diameter two-tone tapered drum lampshade, shown here in pure silk silver grey with a firefly orange lining. This easy fit pendant shade is available in a choice of twelve modern and neutral shades to suit you decor. It is fitted with a large spider unit that will fit both BC and ES lamp holders but If you intend on using this as a floor lampshade then you will need to purchase a shade carrier, please see below for further details. For a more diffused light, or for people who don’t like to see the lamp-bulb, there is an optional 35cm diameter pure silk lower baffle available for a softer mellow light, BAF1699. The illustration shows the shade fitted to a chrome and clear flex suspension, this is optional as it will fit a standard ceiling rose and lamp holder without the need of an electrician. Please quote your chosen colours in the special comments box at checkout. As this lampshade is made to order, please allow 2 – 4 weeks for delivery. 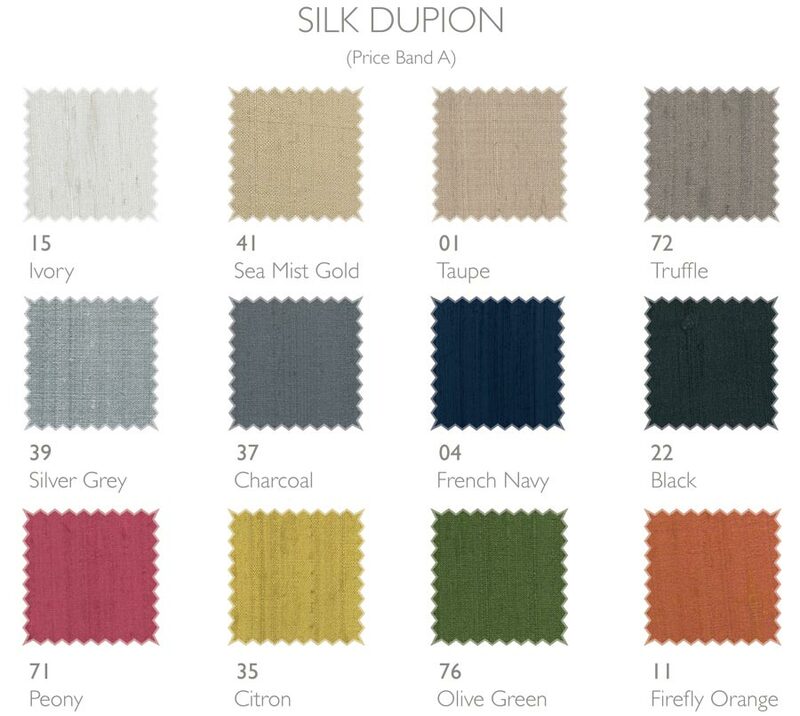 From the Zuccaro hand crafted 100% pure silk collection also available in a single outer colour option with a hard white or opulent gold lining.